Work together to help Little Red Riding Hood reach Grandma's cottage before the wolf sticks his nose where it's not welcome! 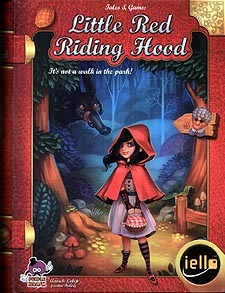 One player plays as the Wolf and the other team plays as Little Red Riding Hood's friends! A cooperative game for the whole family! Arrive before Grandma ends up in the wolf's trap! 2 modes of play for big and small!